Here's a fact about me: I love a good bargain. You've probably heard me say that a countless amount of times, so it really shouldn't be that much of a surprise. But seriously, I'm all about functionality & affordability. 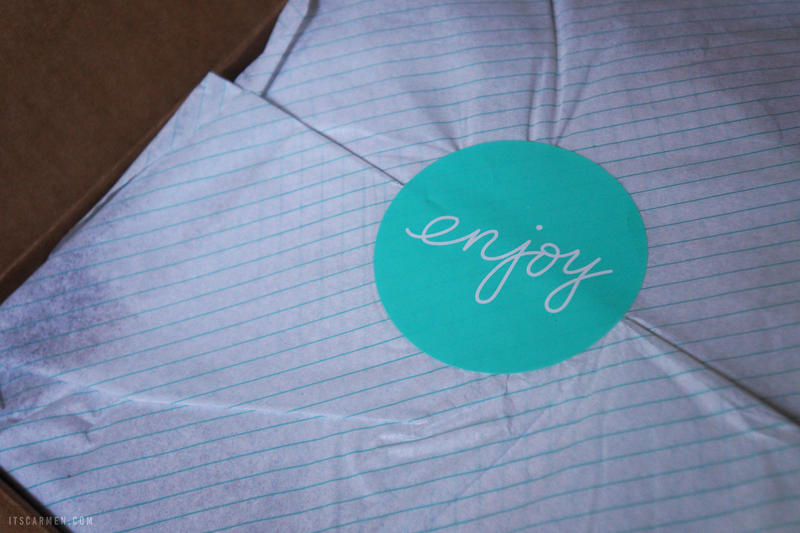 That's why I was pretty excited when an opportunity to partner with thredUP* came about. ThredUp is an online store with like-new clothing from brands such as Michael Kors, Free People, Kate Spade, & more. I have to say, I was pretty darn thrilled to get six items for $60. Here's what I got: Zara Basic Casual Dress, High Sierra Short Sleeve Button-Down Shirt, Kohl's Kimono, Mustard Seed Casual Dress, Carrie Allen Long Sleeve Button-Down Shirt, & Erika Short Sleeve Button-Down Shirt. I waited patiently for the polka dot box to arrive & when it did, I strolled excitedly to the mailbox, gently picked it up, ran home, & opened it immediately. Everything was packed carefully & quite cutely, I might add. As with anything in life, some of these pieces fit me like a glove & others not so much. That's just what happens when you buy clothes online. I've come to accept that not everything is going to look spectacular on my body type. 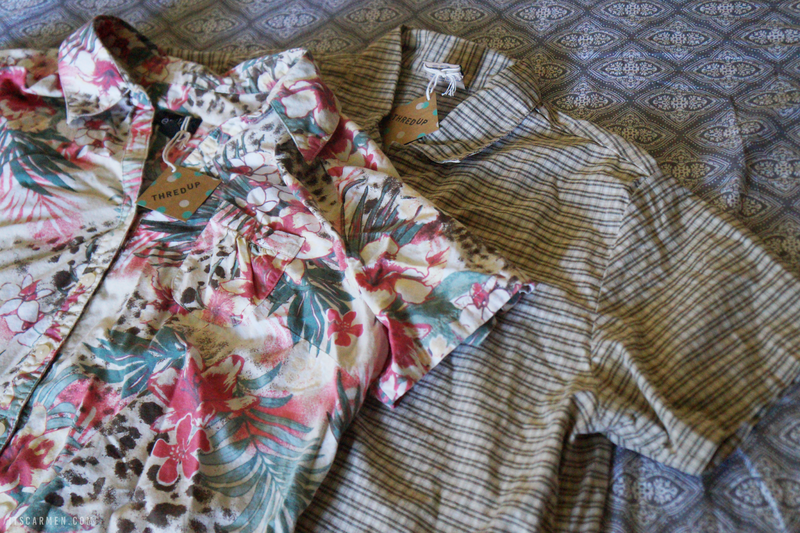 However, I can already tell which of these garments will be on high rotation in my wardrobe. The Carrie Allen Long Sleeve Button-Down Shirt called my name ever since I first spotted it online. I tried it on & fell in love with it even more. The palm tree embroidery & embellishments are nothing short of amazing. 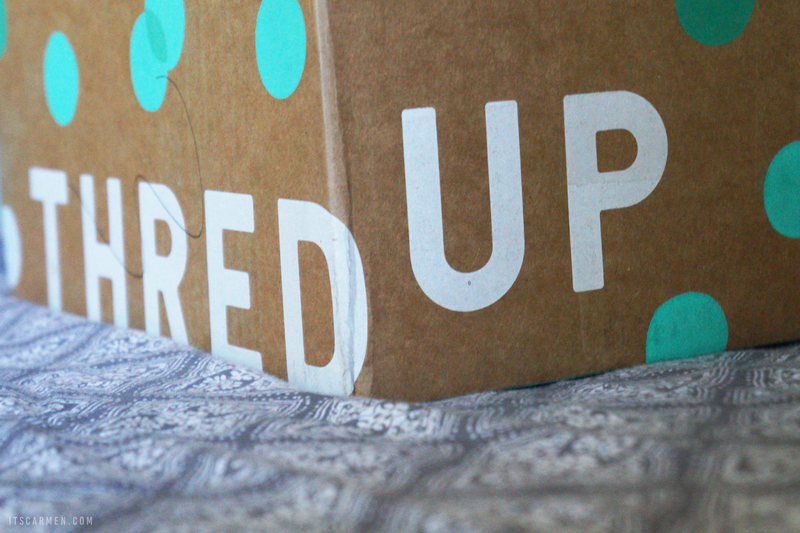 ThredUP mixes cost-effective, like-new clothes with the added convenience of never even having to leave your home. That sounds pretty swell to me. I'm so happy to have some new versatile items to add to my wardrobe. Stay tuned for upcoming outfit of the day posts! Get 21% off your thredUP order when you use promo code SKP21. Thanks for sharing! 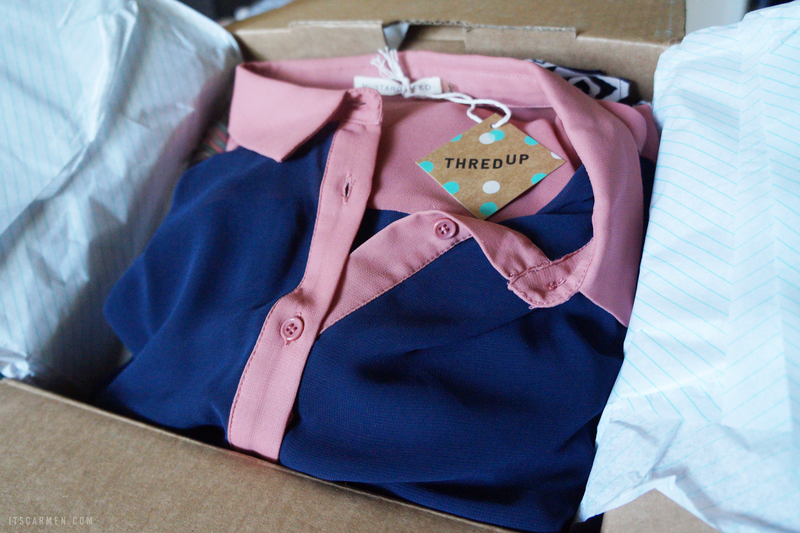 I've done Stitch Fix and Trunk Club, will have to give thredUP a try! What an inspirational post! Thanks for sharing! I've heard about ThreadUp before, but have never purchased anything from the before, but after this post, I just might! 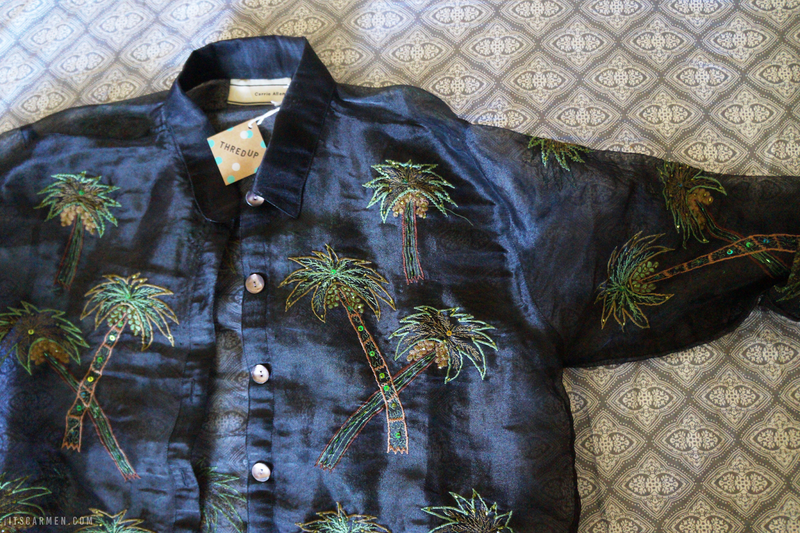 I love your palm tree shirt, so cute and perfect for both spring and summer! Thanks so much for sharing and I hope you're having a great start to your week so far! Such great idea! Thanks for sharing! I've neevr heard of this before but that's amazing that you got 6 pieces for that price. No, I have never heard of threadUp, but so many items for $60 sounds like a good bargain! I like the denim jacket, the palm trees are so cute! 6 items for 60$ that's a great bargain! Girl I LOVE a great bargain myself!! So refreshing to see a post like this in the blog world. There are so many times where a blogger is like "YAY this dress is under $200!" and I'm over here like...... That's not really a steal on my budget haha. I also adore your picks and that cute packaging! wishing something like this would exist in the UK! 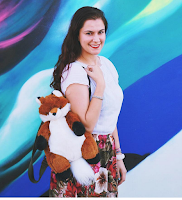 I just read about thredup last week on another blogger and on IG. Surely sounds good, Carmen. Seems like an awesome bargain! Thanks for sharing! Love a great online bargain store. Very cute styles. Let's be real, who doesn't love a good bargain! Great post, love! Cool :) Seems like you can get some great deals there ! cool stuff, thanks for sharing coz I always see this ad on FB. I love that red/white floral top! It's such a funky unique top and one I'd definitely wear out. 60$ for that is an amazing bargain, these finds are great!